City leaders gathered today (Friday 29 March) with academics, businesses, community groups, students and others from the public and private sector to lay foundations for solving some of the city's most pressing challenges. Topics tabled for discussion ranged from high level city wide initiatives to more focussed interventions. Discussions included improving the city's air quality and new approaches to talking violence and abuse to the role of communities and universities in developing solutions. Robin Hambleton, Chair of the Bristol Forum Planning Team, said: "The Mayor has challenged all sectors in the city to grasp the nettle and get involved with local problem solving. The Bristol Forum is the perfect place for academics to share their latest findings with people from across the city and from all sectors in an environment that encourages debate and challenge. The aim is to pool the best of the city and focus minds on co-creating approaches to further research and develop action." Marvin Rees, Mayor of Bristol, said: "We're aiming to build a city of hope and ambition where everyone benefits from Bristol's success. The Council cannot do this alone and it's through positive collaboration such as we've seen today that we will ensure Bristol works for everyone. We've laid out the long term One City plan as a blueprint for what we want to achieve and today is one example of how we will go about delivering our shared goals. The Forum represents an opportunity for our city partners to come together to research, discuss and plan out solutions that will have positive impacts on the city and those who live, work and study here." 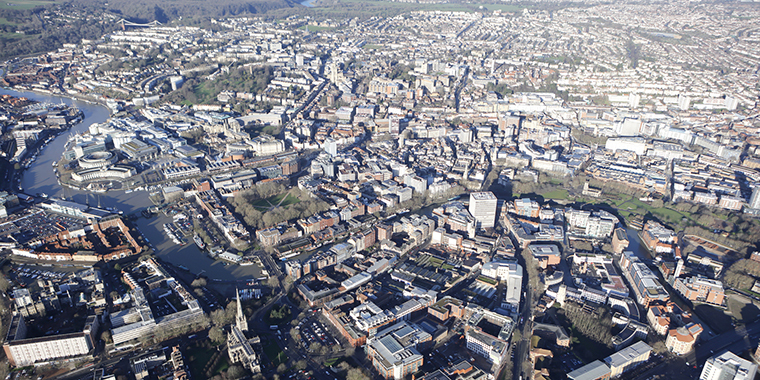 Professor Steven West, Vice-Chancellor of UWE Bristol, said: "We are very pleased to be working with organisations and communities from across Bristol as part of the Bristol Forum, to address the city's challenges and bring about positive action through collaboration and developing new ideas. Our staff and students have so much to offer the local community, and by working together I believe we can achieve real change." Professor Hugh Brady, Vice-Chancellor and President of the University of Bristol, said: "These are times of opportunity as well as challenge for Bristol. Today's event has illustrated how we can work together to tackle inequalities and create opportunities for everyone in the city. "As a university, we're committed to using the expertise, passion and innovation of our students and staff to bring about positive change. This can only be amplified by working in close partnership with other organisations and community groups to realise the potential of our city and its people." Sandra Meadows, Chief Executive of VOSCUR, said: "Voscur has been working for a number of years to build stronger learning relationships with both local universities - to improve our own work and that of our community members. That's why we were keen to be part of the Forum's Collaborative Design Group and are excited to see the new ideas and approaches that will come out of the first Forum." The Bristol Forum is also an opportunity to further explore the concept of the civic university in the UK. Examples of the civic university are seen in the United States where universities play an important role in tackling problems of the cities in which they are based. The Bristol Forum provides Bristol's Universities with a platform to engage in the national debate about this topic and demonstrate the role they can play in local policy making and problem solving.